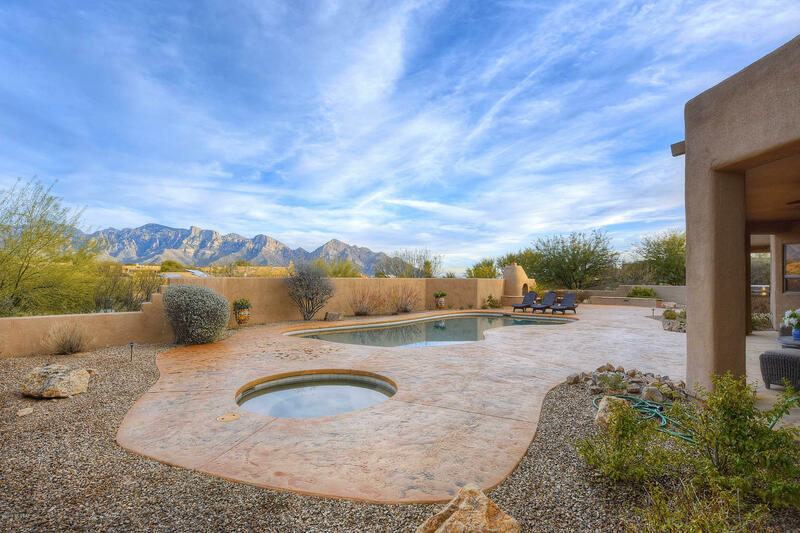 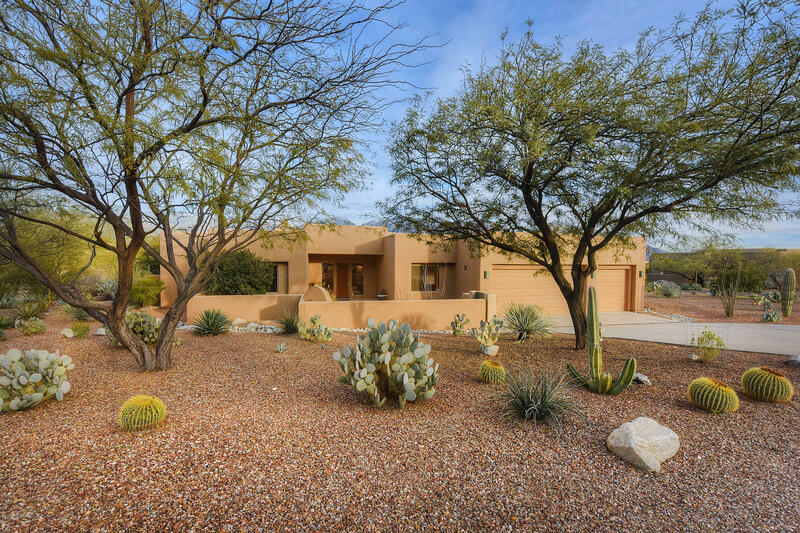 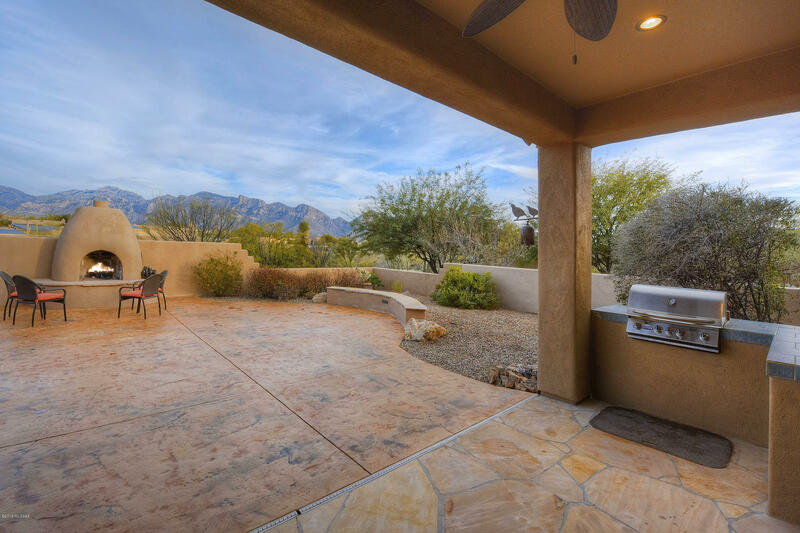 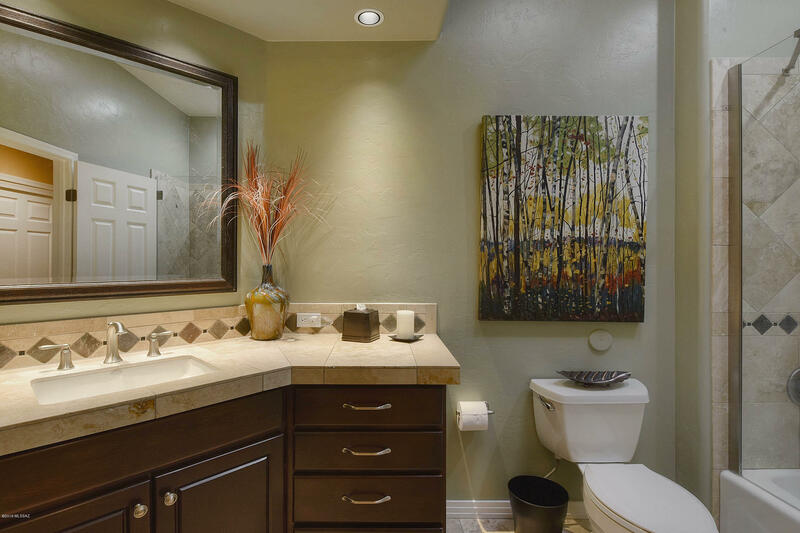 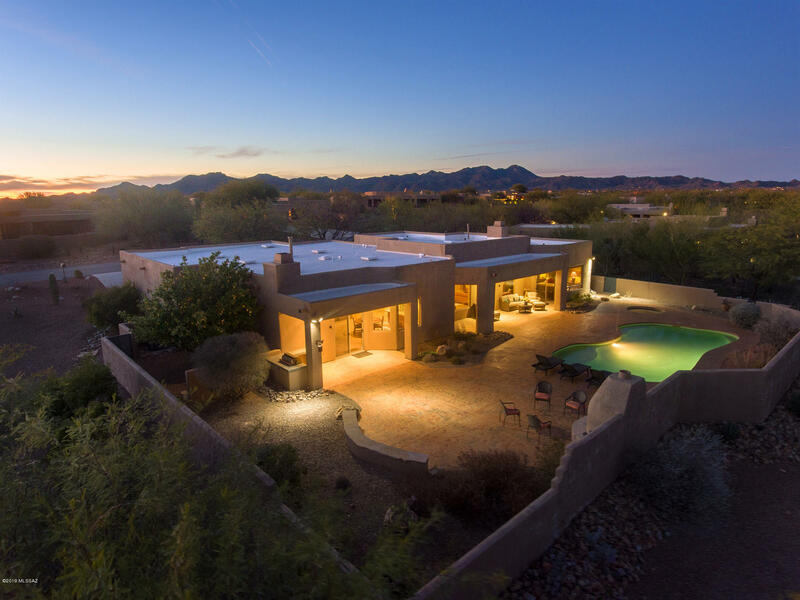 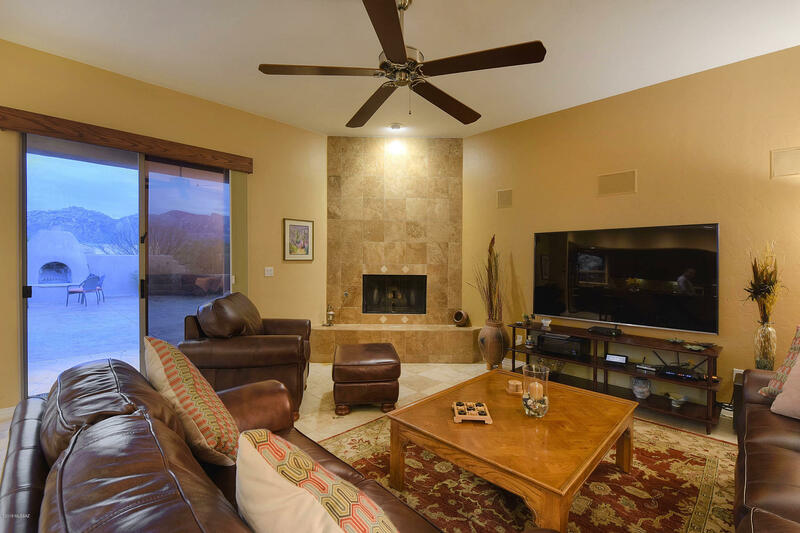 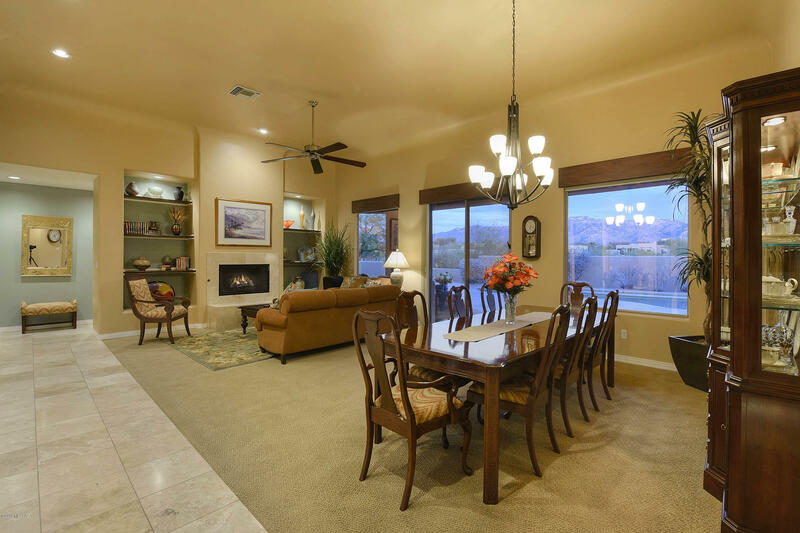 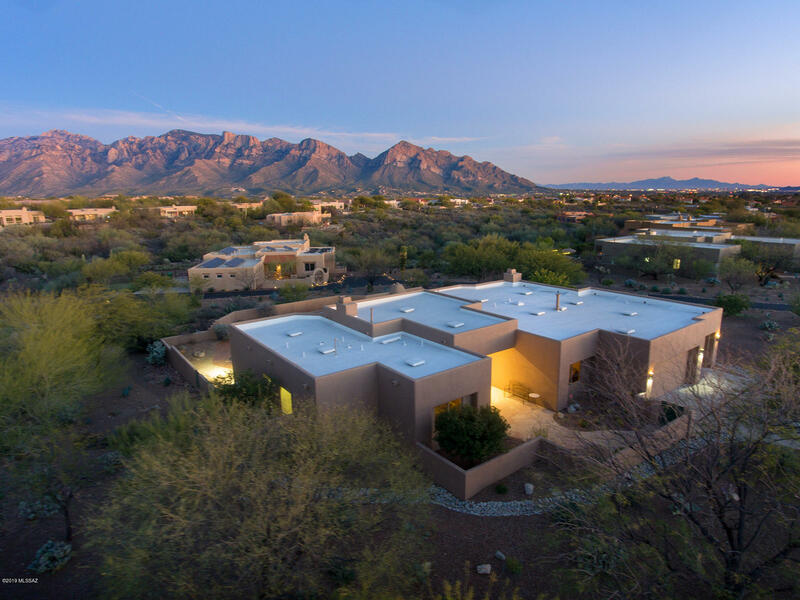 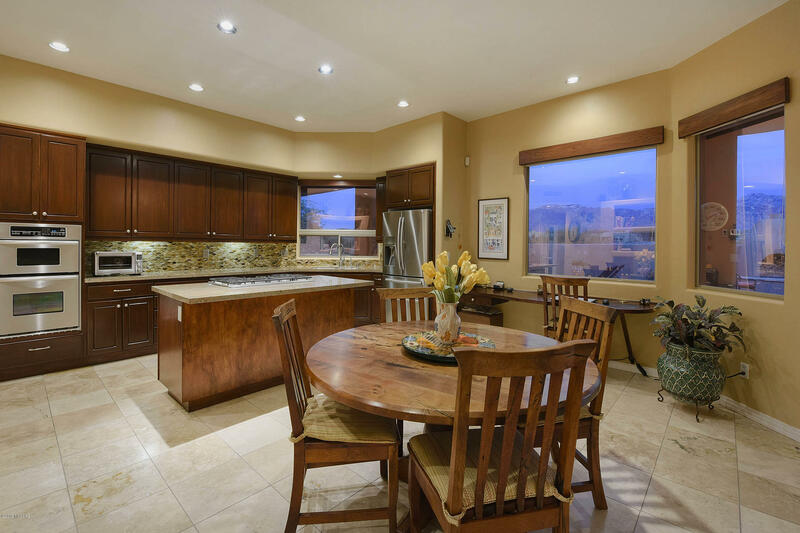 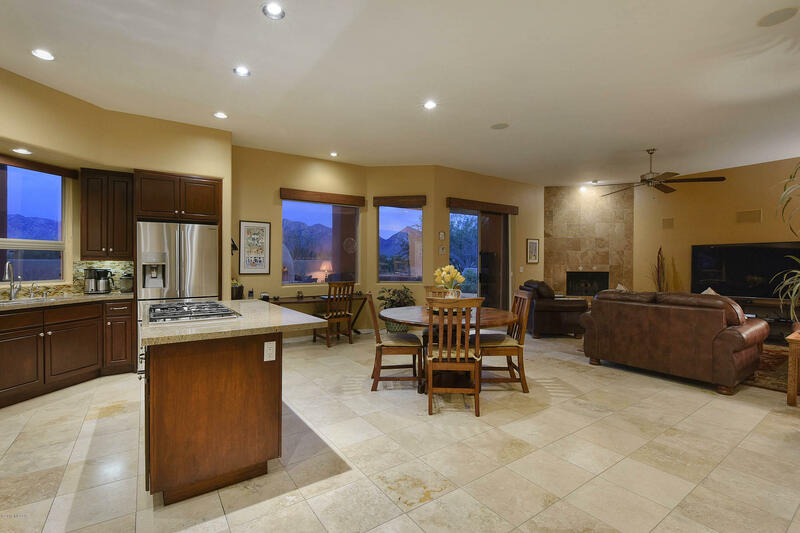 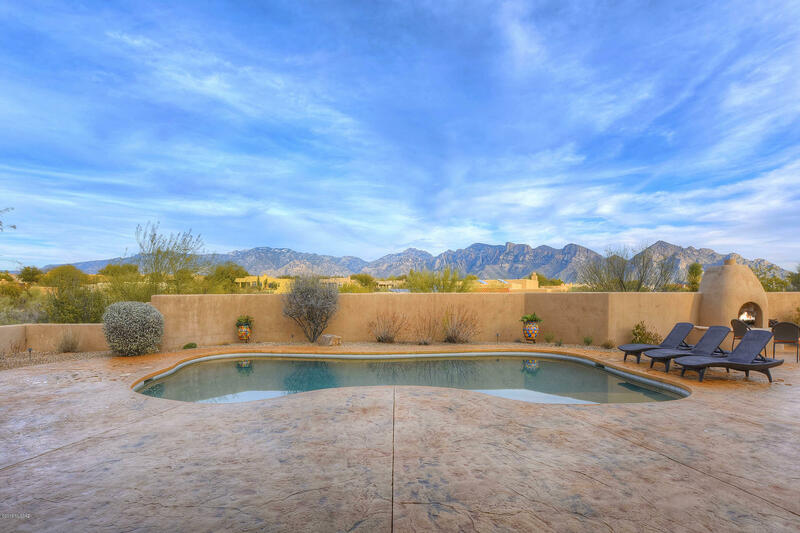 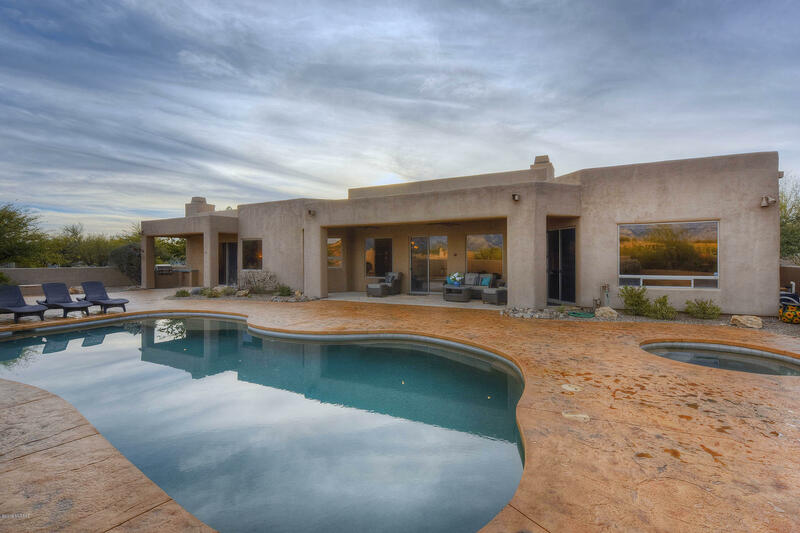 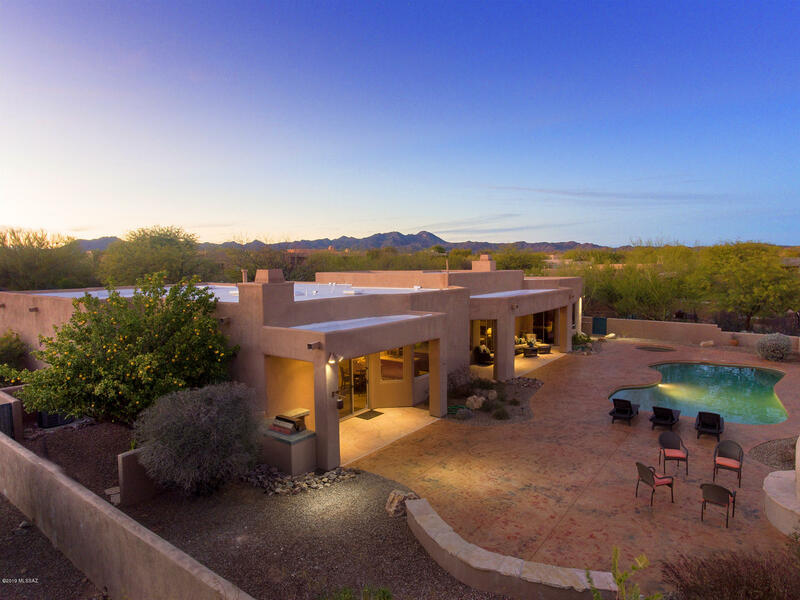 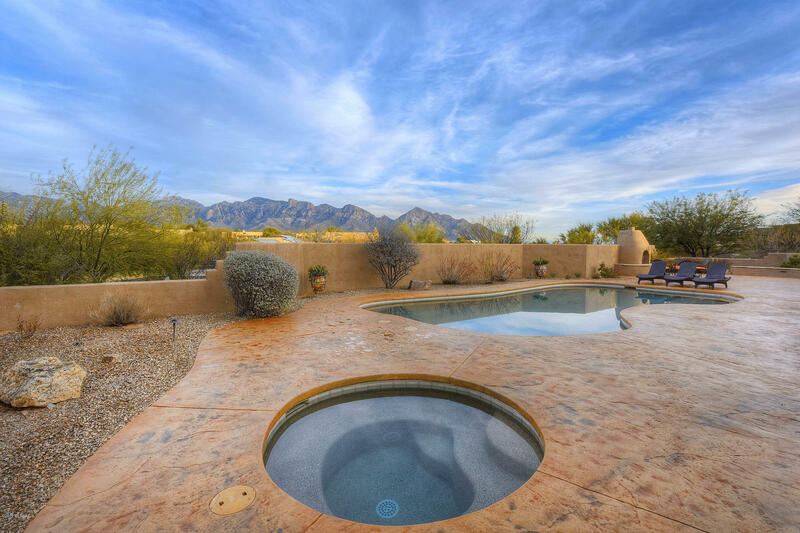 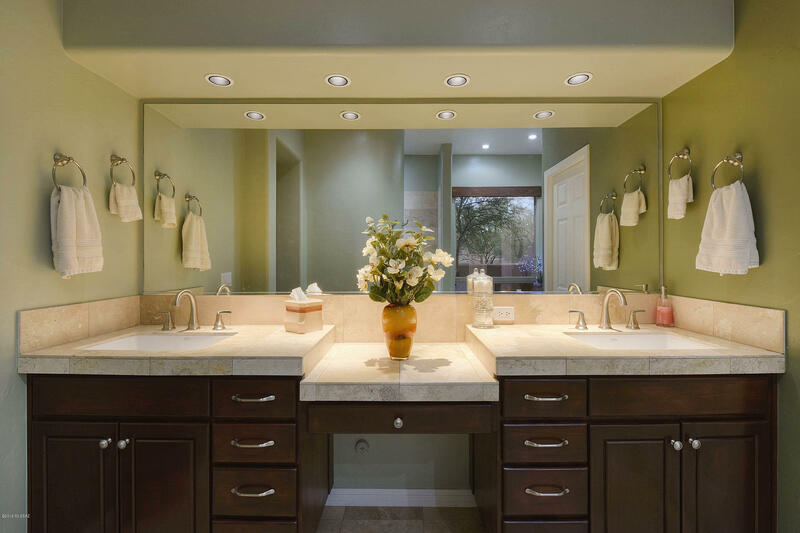 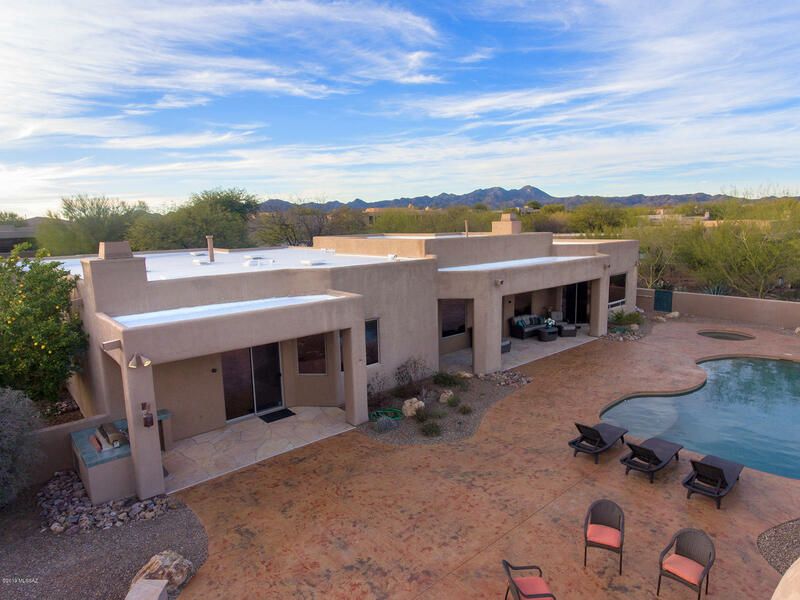 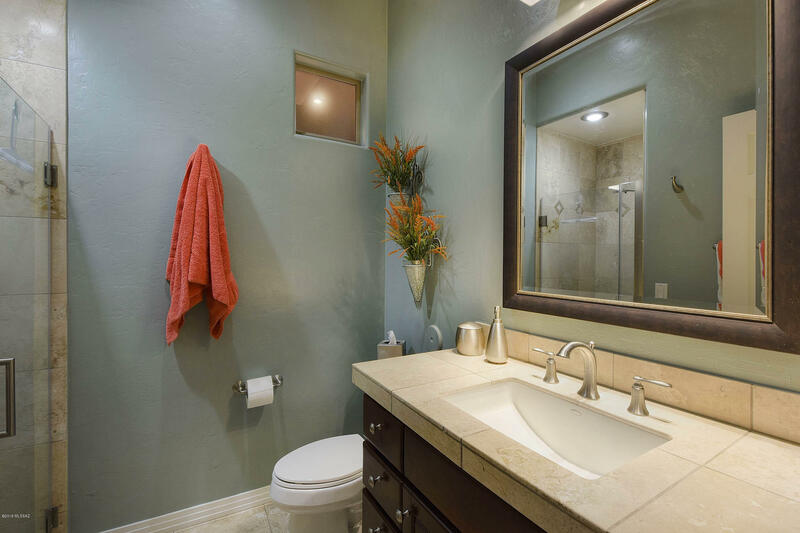 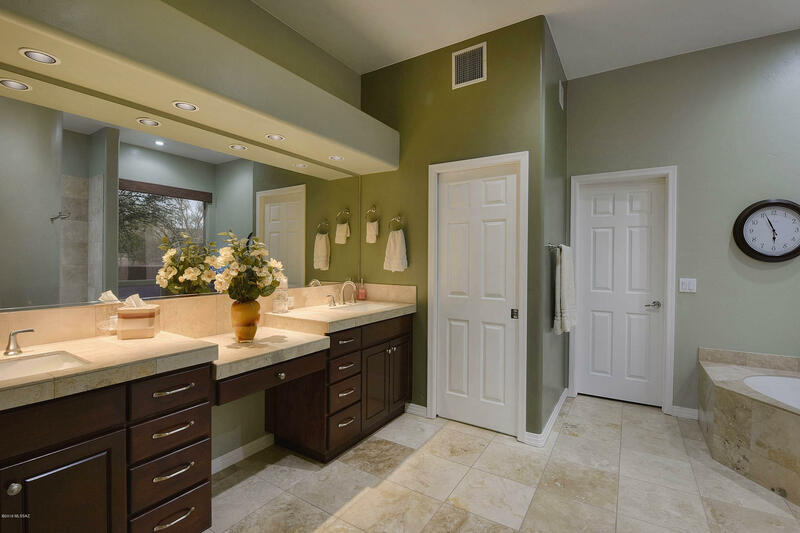 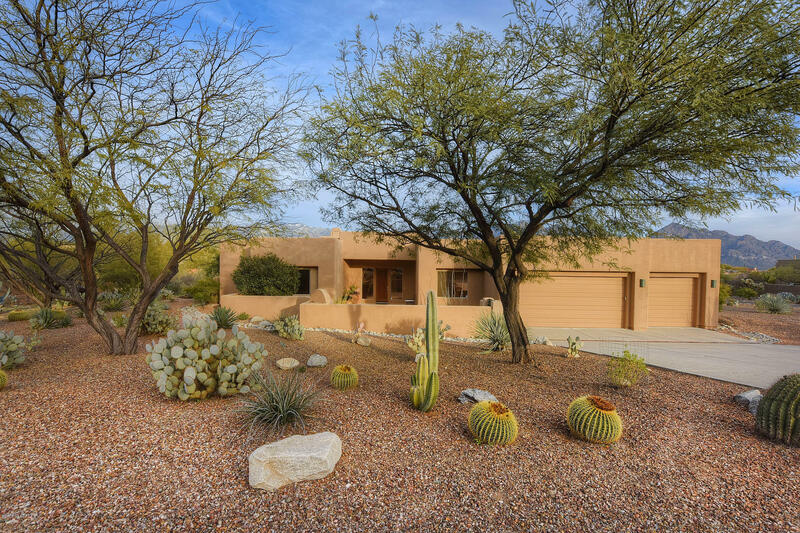 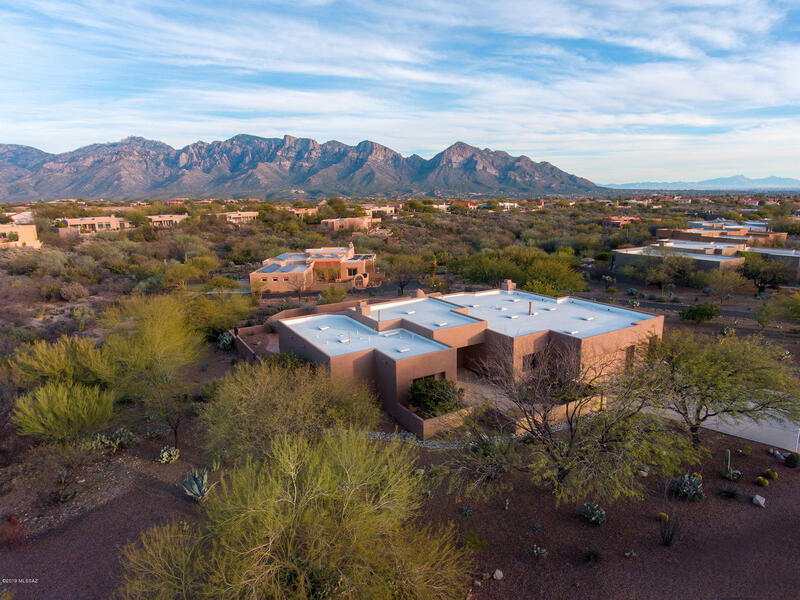 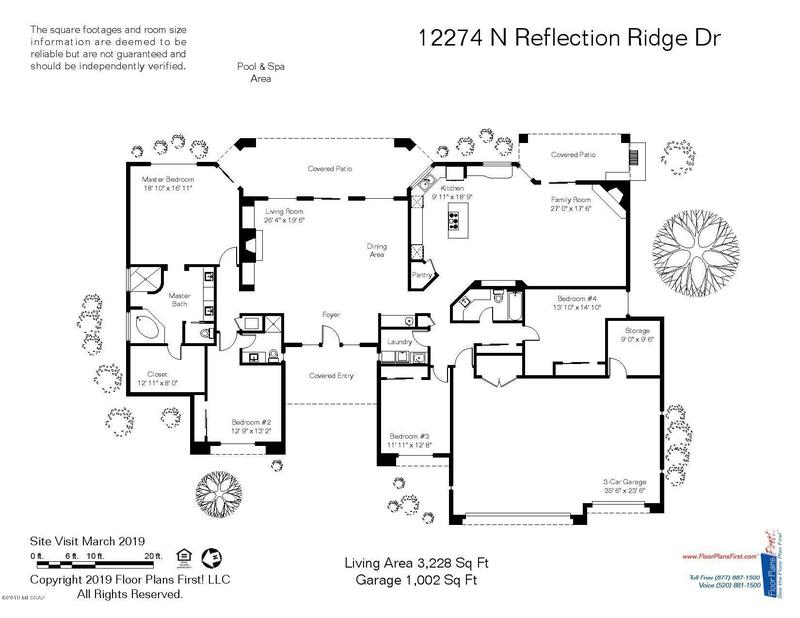 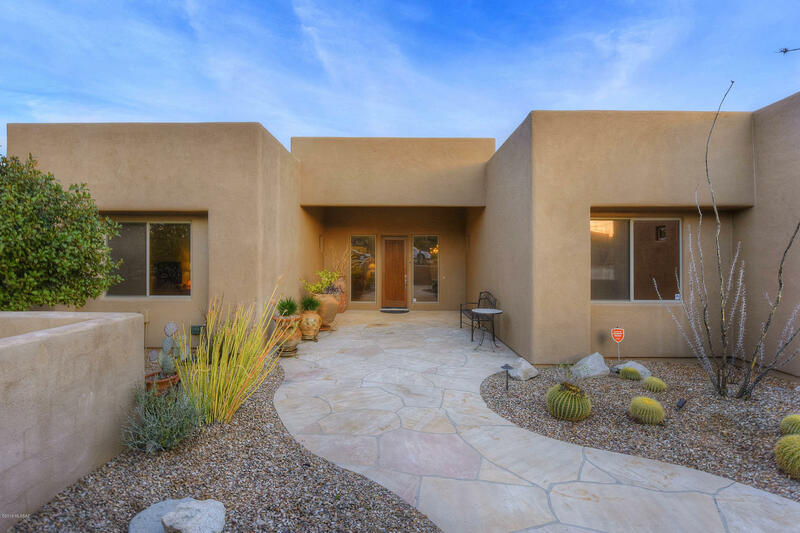 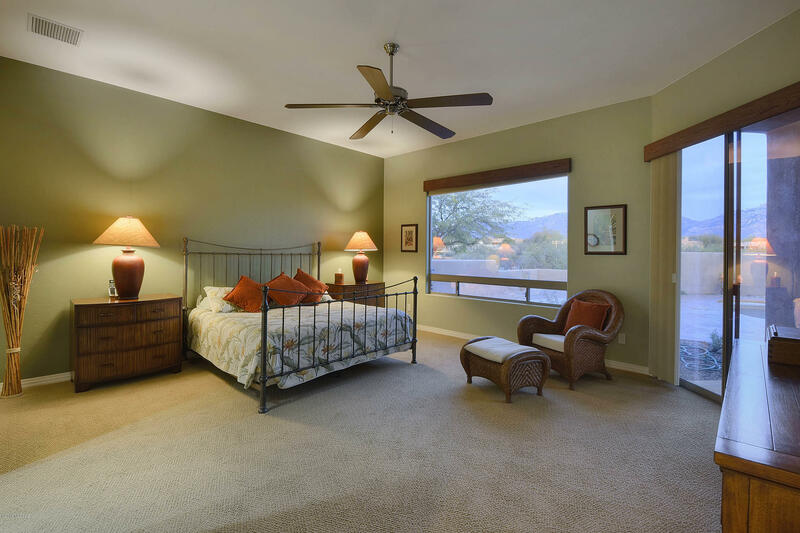 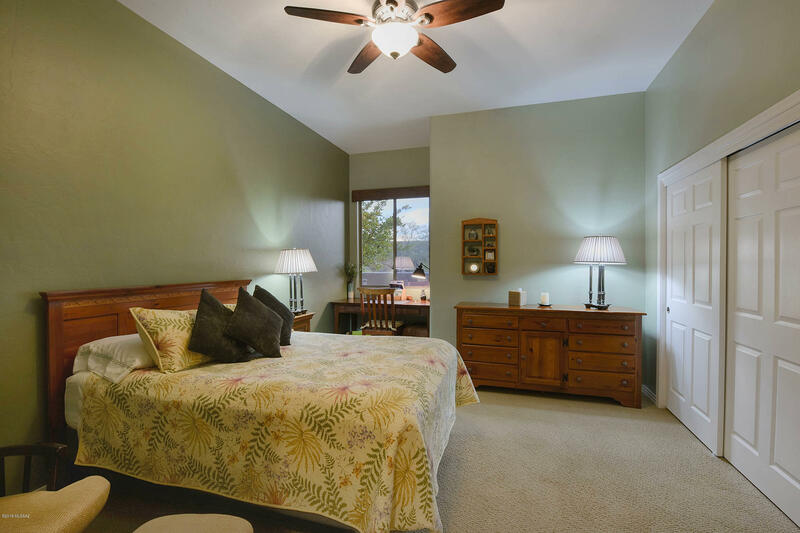 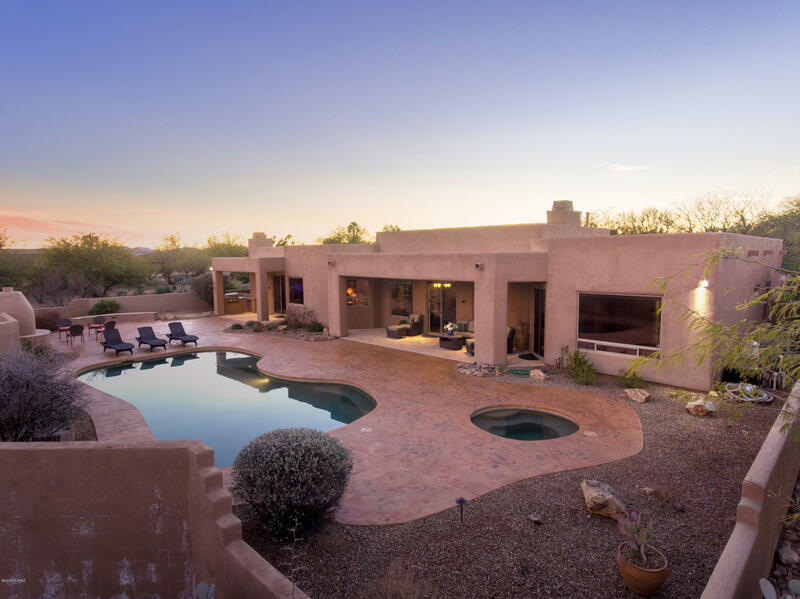 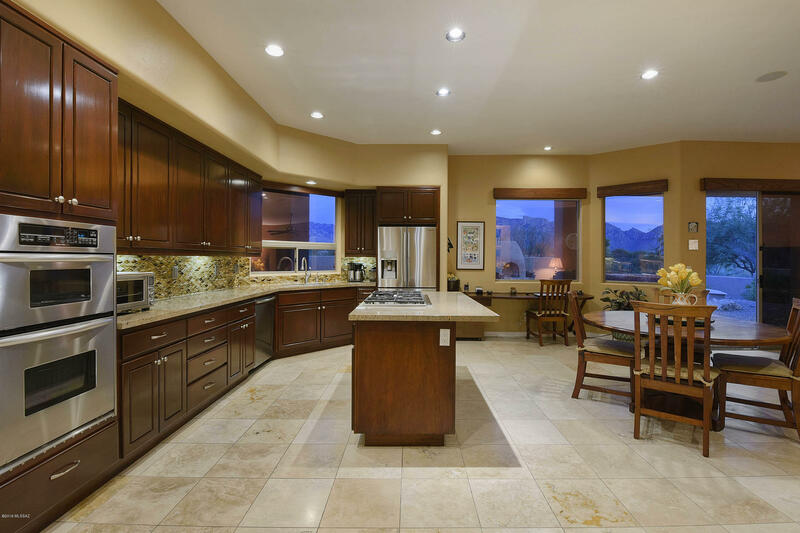 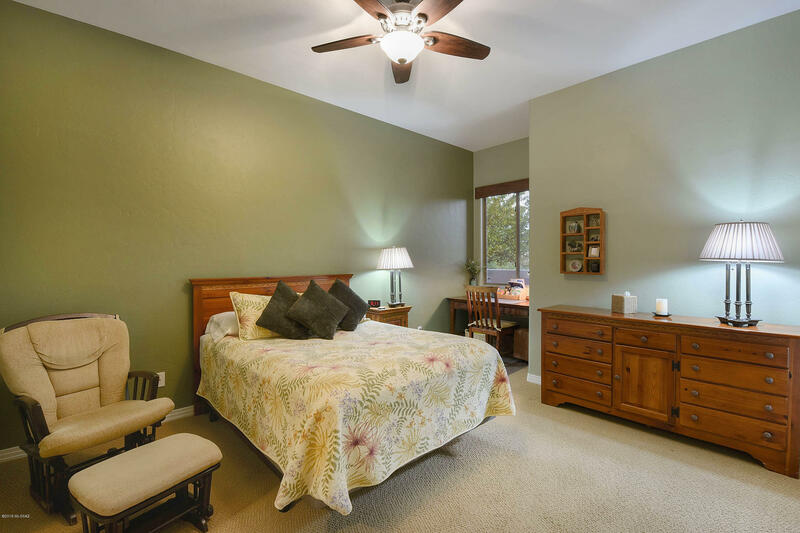 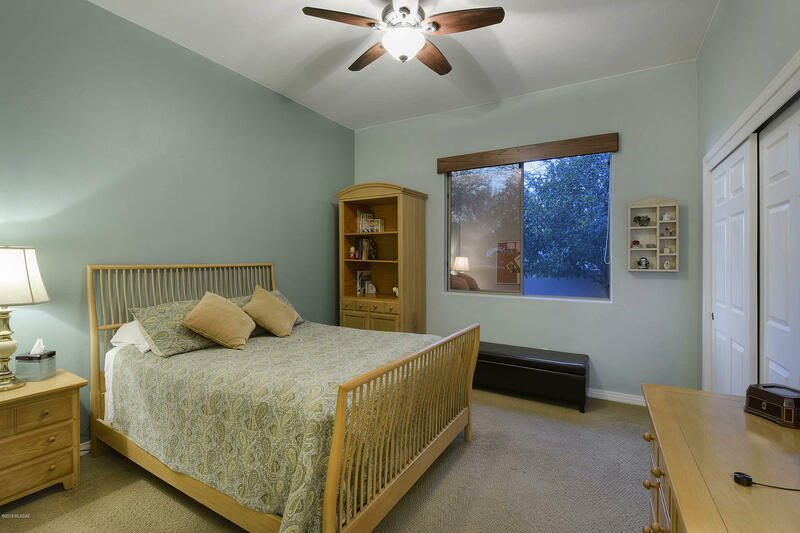 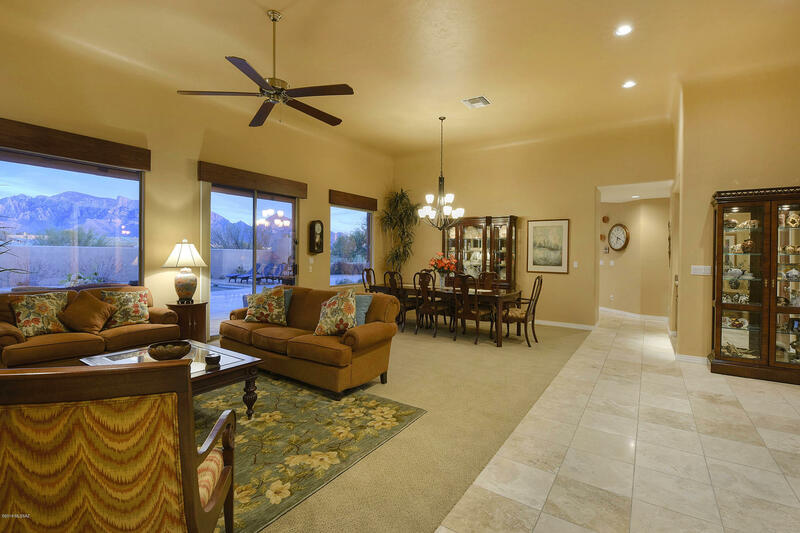 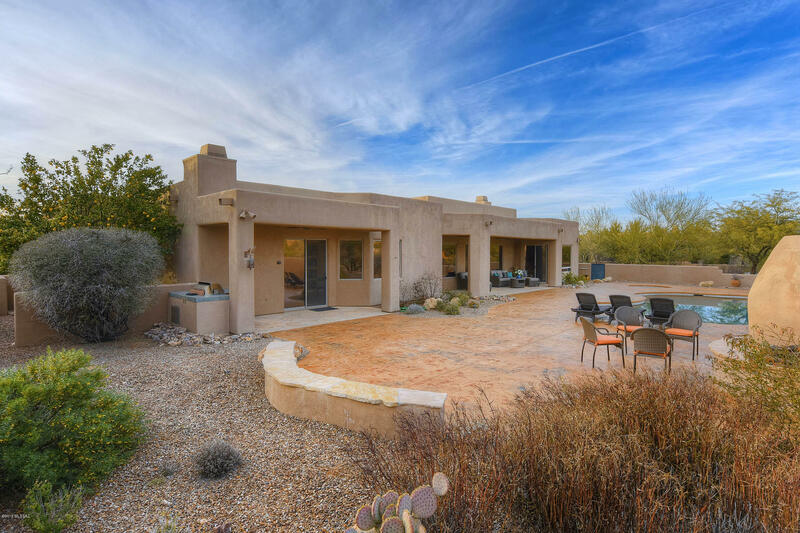 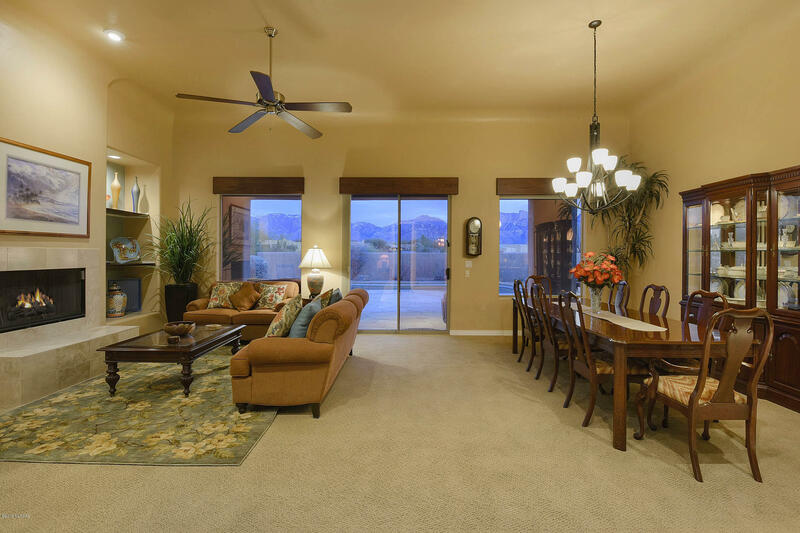 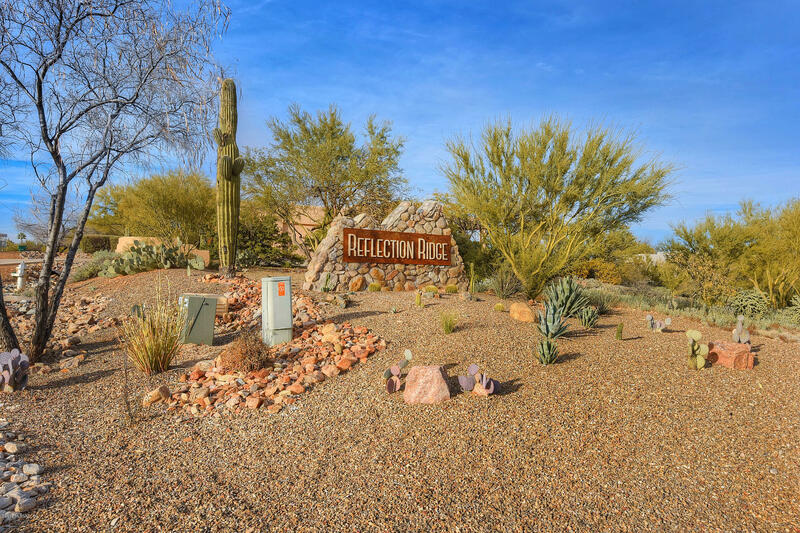 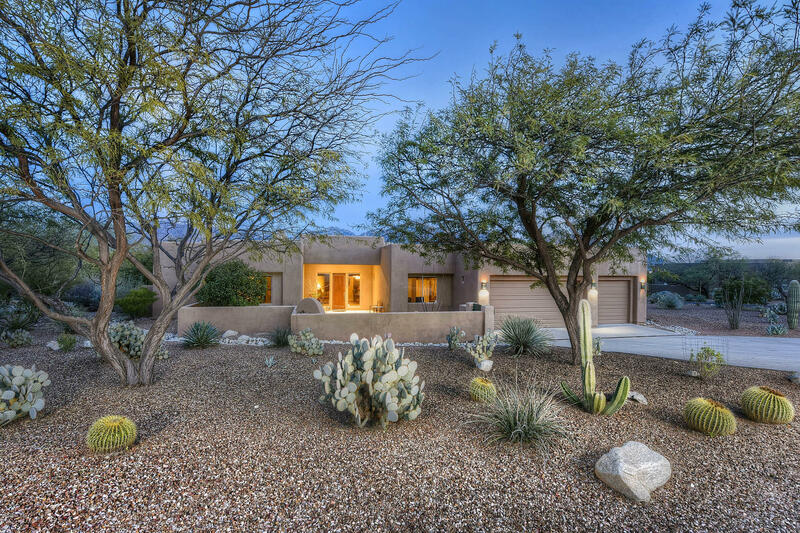 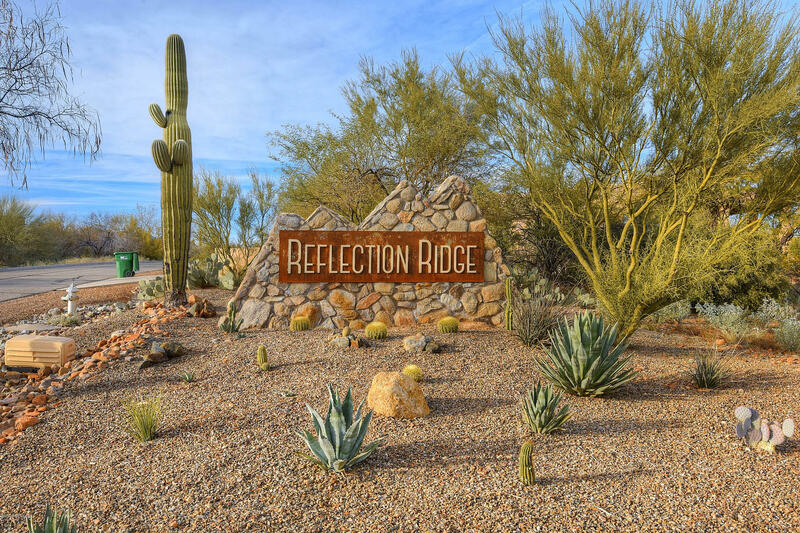 Located in the sought after community of Reflection Ridge, this spectacular home offers single-level living, a split bedroom floorplan, elegant finishes, and expansive mountain views! 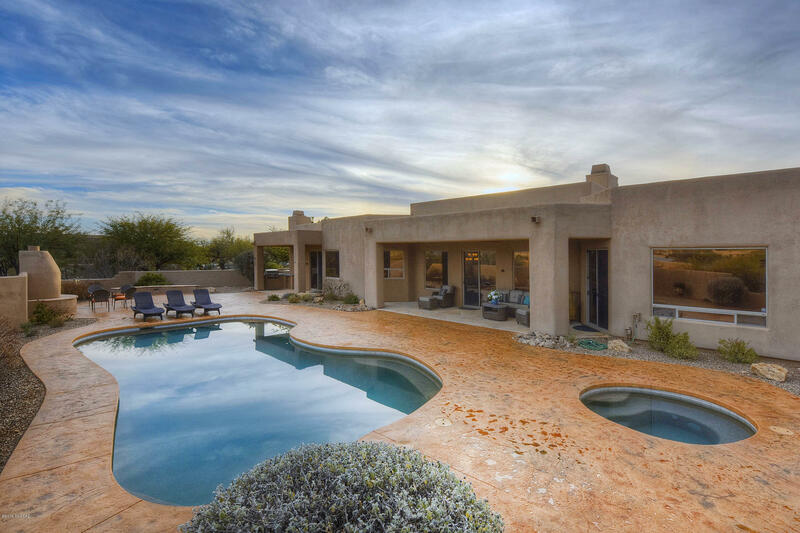 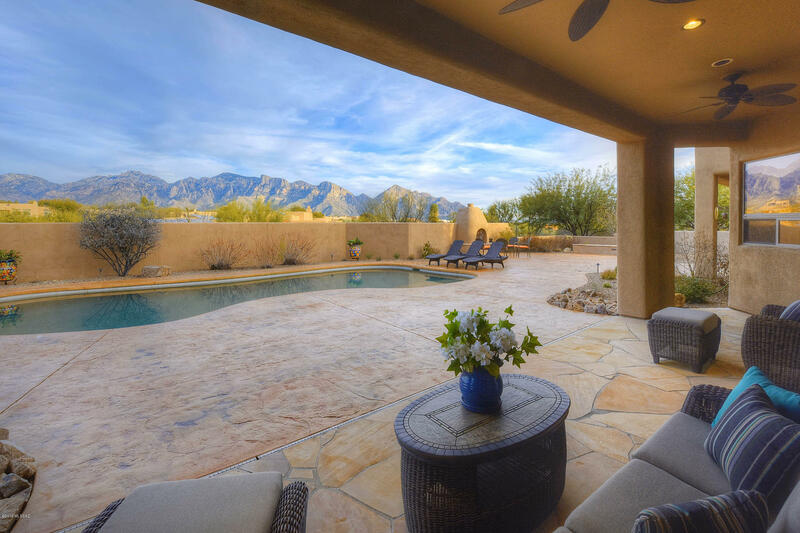 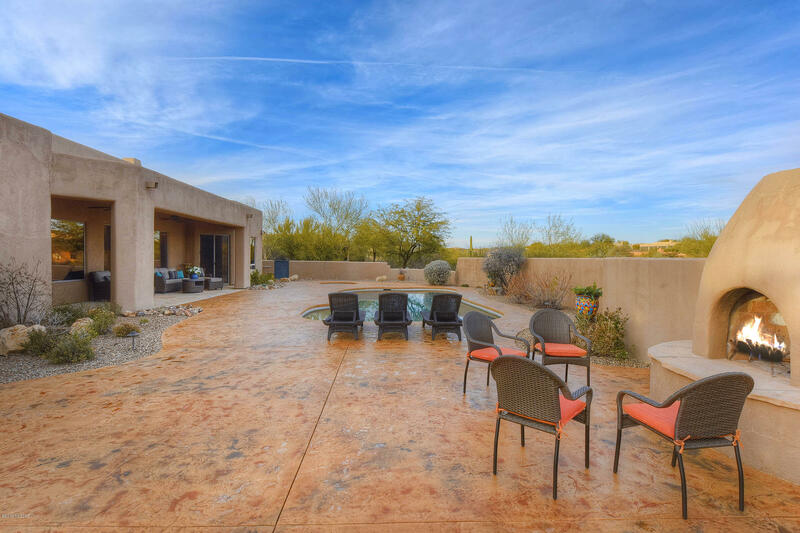 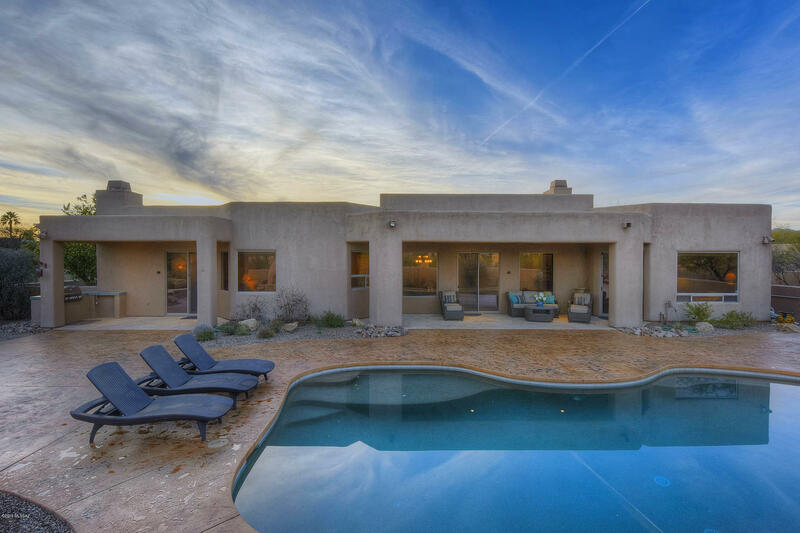 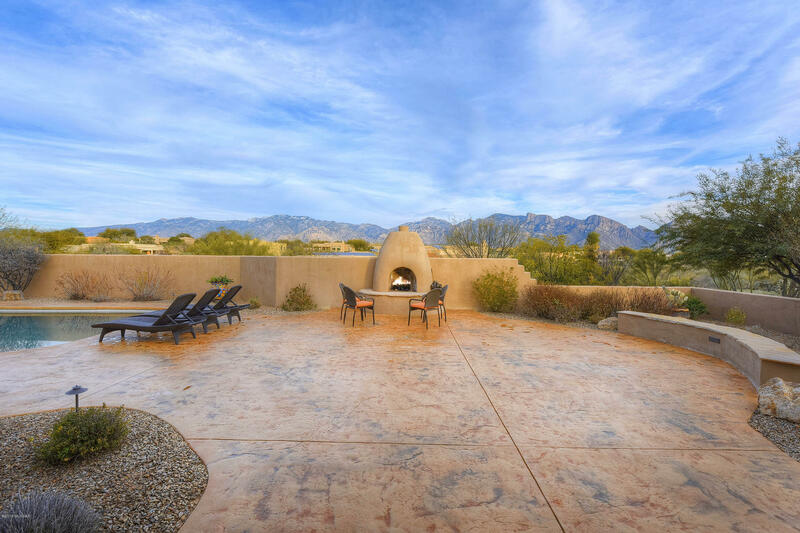 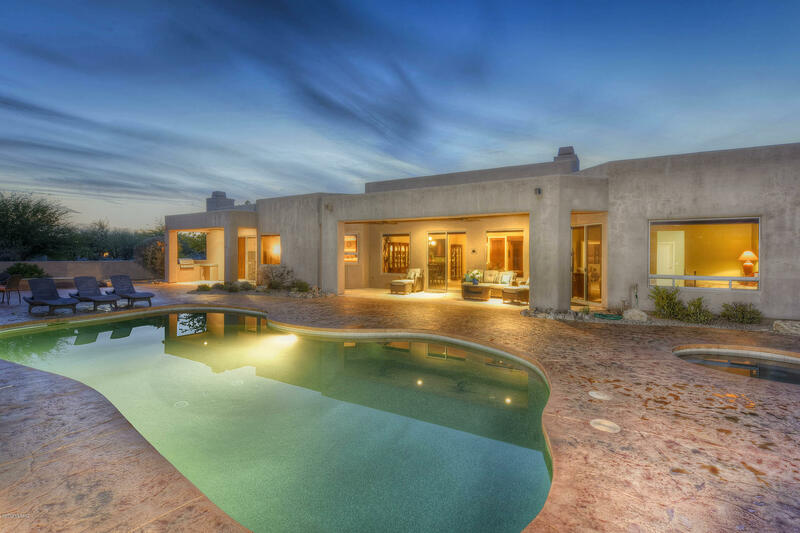 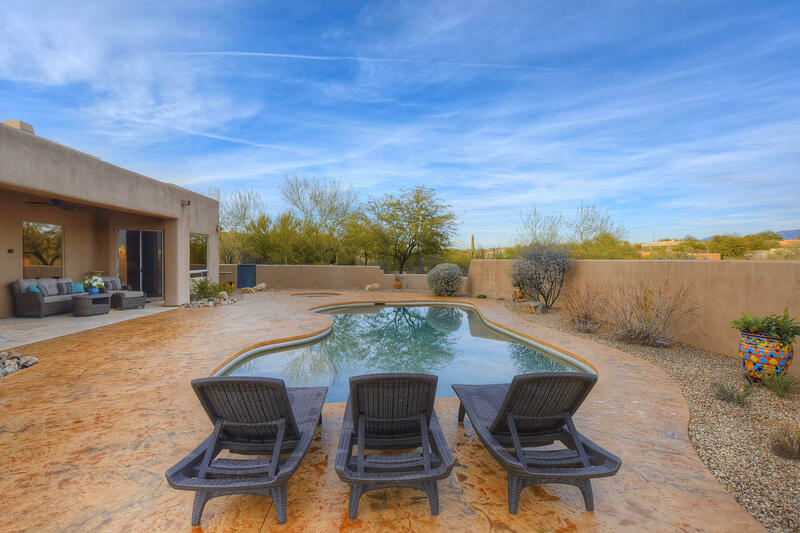 Outstanding outdoor space with pool/spa, two patios, built-in BBQ, custom fireplace and seating areas. 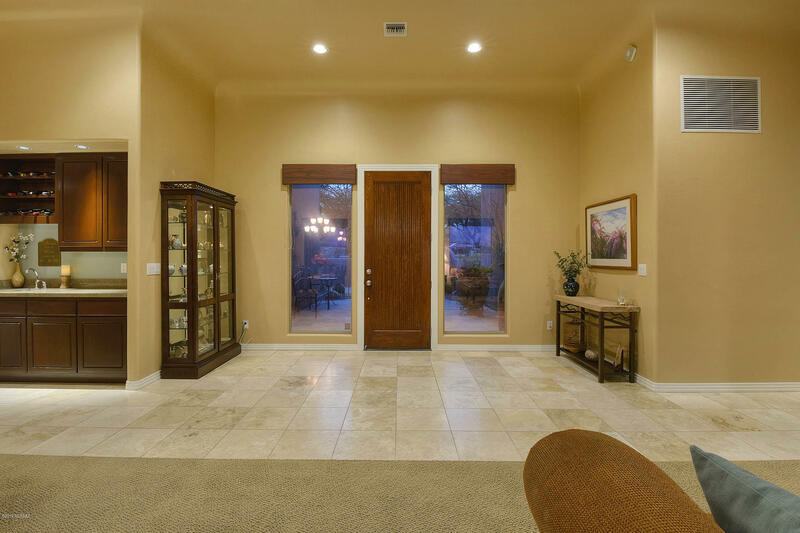 Gorgeous picture windows, coved ceilings in entryway/great room, wet bar, built-in shelving, two fireplaces, and ample room for living/dining. 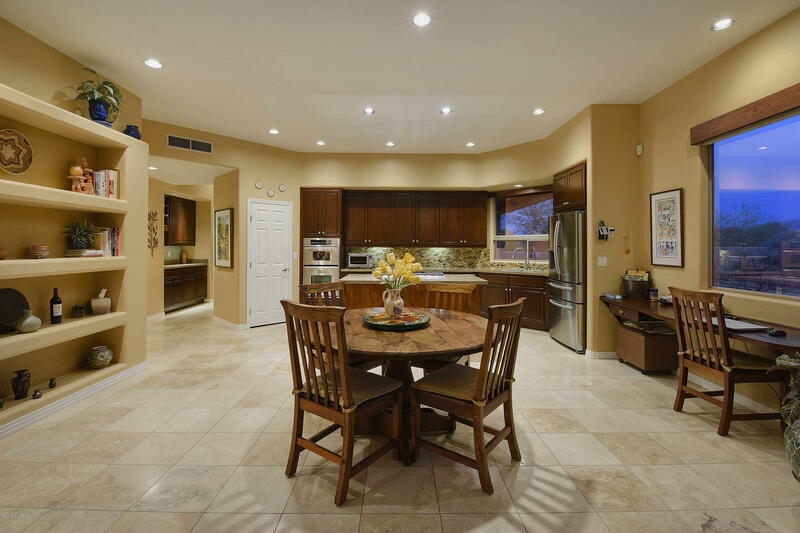 Well-appointed eat-in kitchen featuring stainless steel wall ovens and large island with gas range. 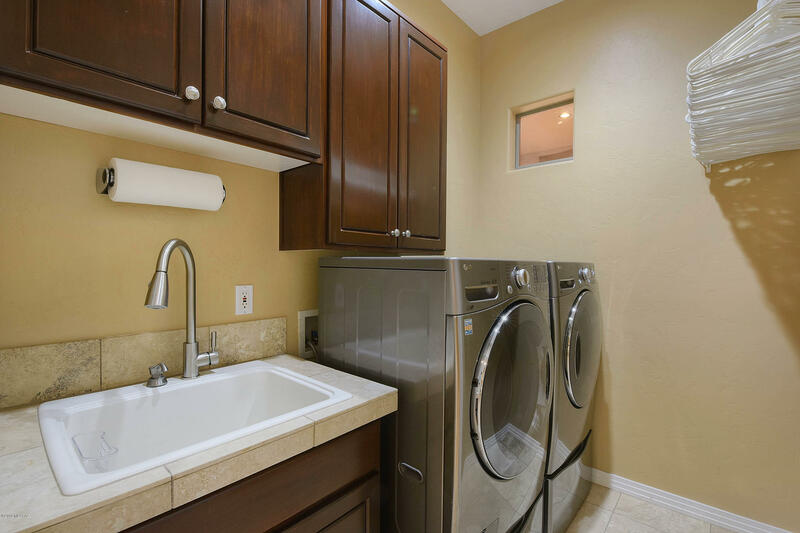 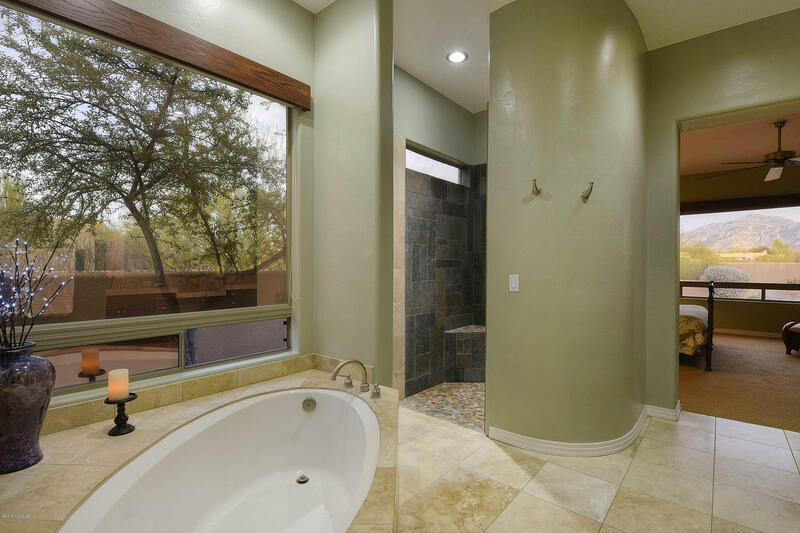 Generously sized owner's suite with private entry to backyard and relaxing ensuite bath featuring a garden tub and large walk-in shower with custom tilework and stone floor. 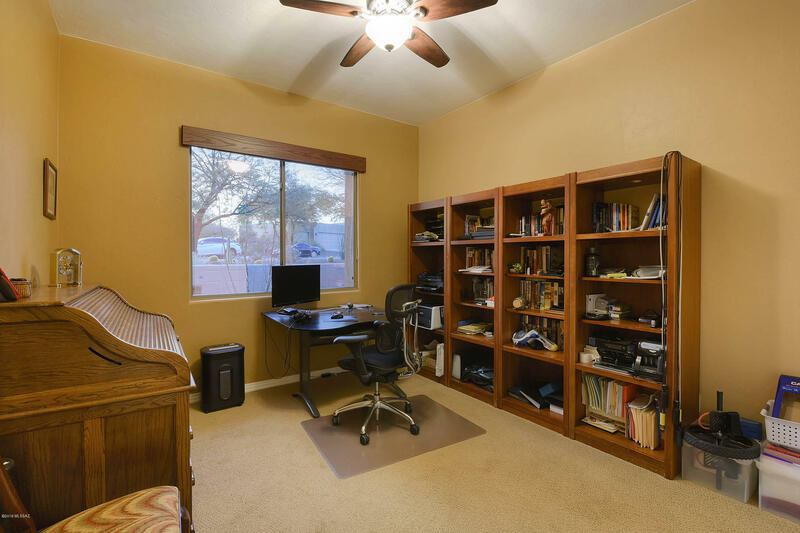 Oversized 3-car garage with separate 10 x 10 storage room offers additional storage/workspace.